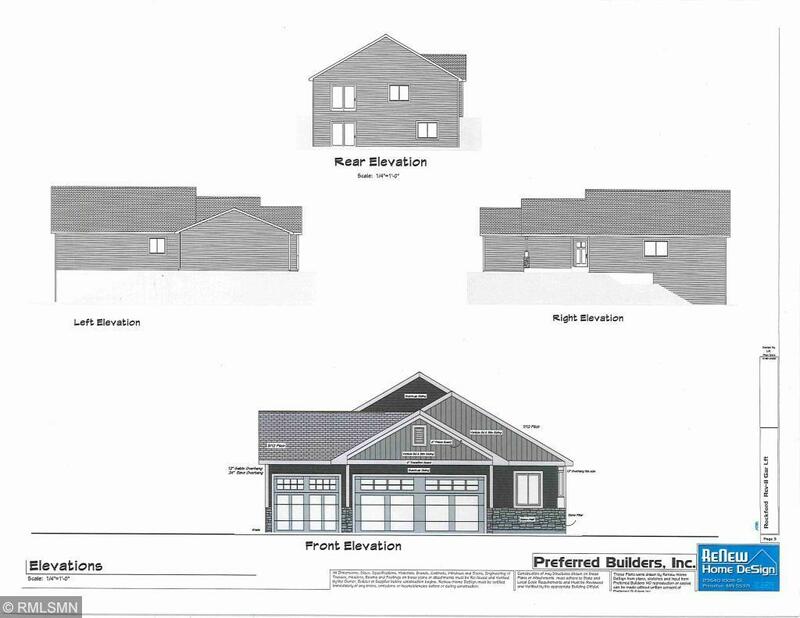 Charming single level rambler to be built in city of Saint Croix Falls! A nice covered porch and main floor laundry are just some of the benefits of this design. There are many other designs to choose from in many different price ranges too. Chinander Rock off of Day Road in the city of St. Croix Falls, 40 minutes from Forest Lake- it is a lovely location close to local schools, parks, ski resorts, shopping, the arts and so much more. Call for an appointment to see the model.